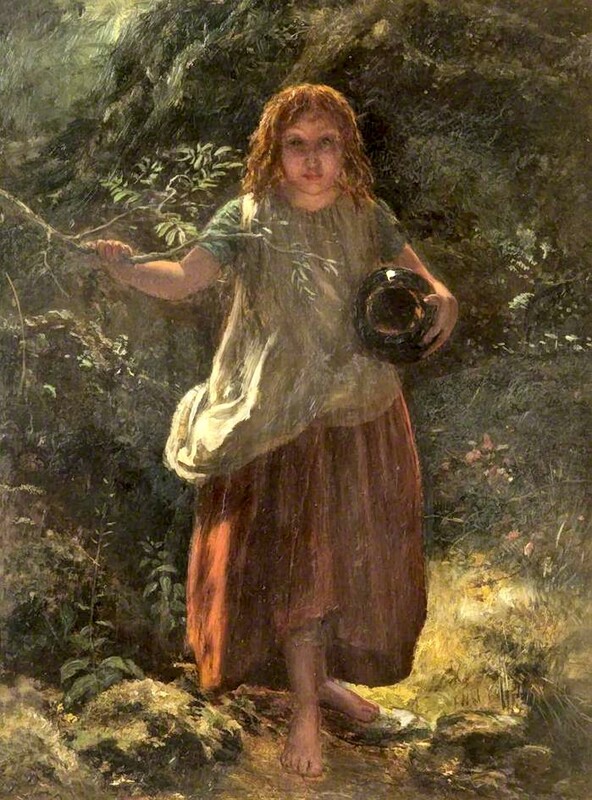 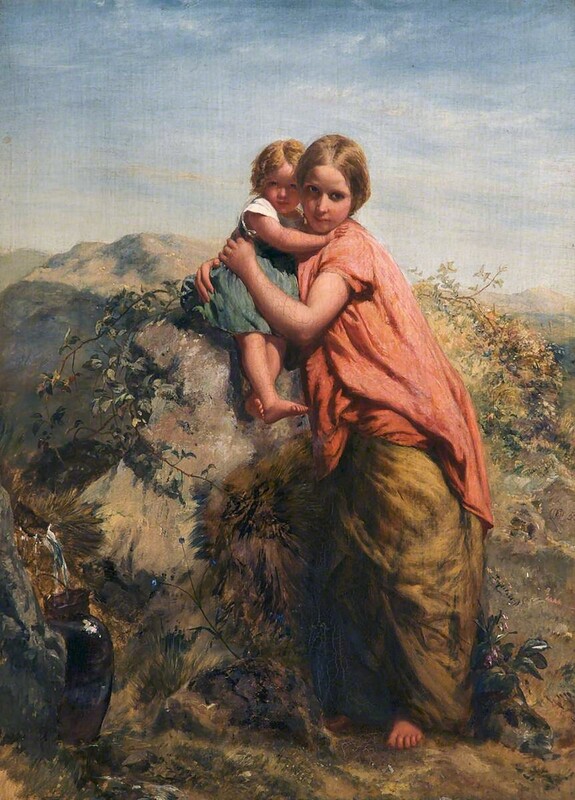 Paul Falconer Poole RA (1806-1879) was an British** subject and genre painter** born in Bristol. 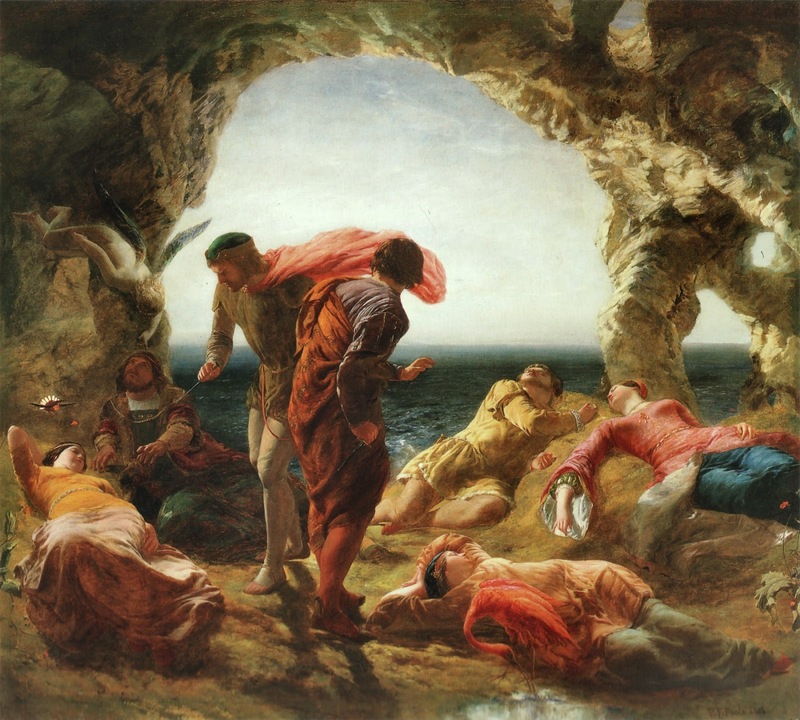 Though self-taught his fine feeling for colour, poetic sympathy and dramatic power gained Poole a high position among British artists. 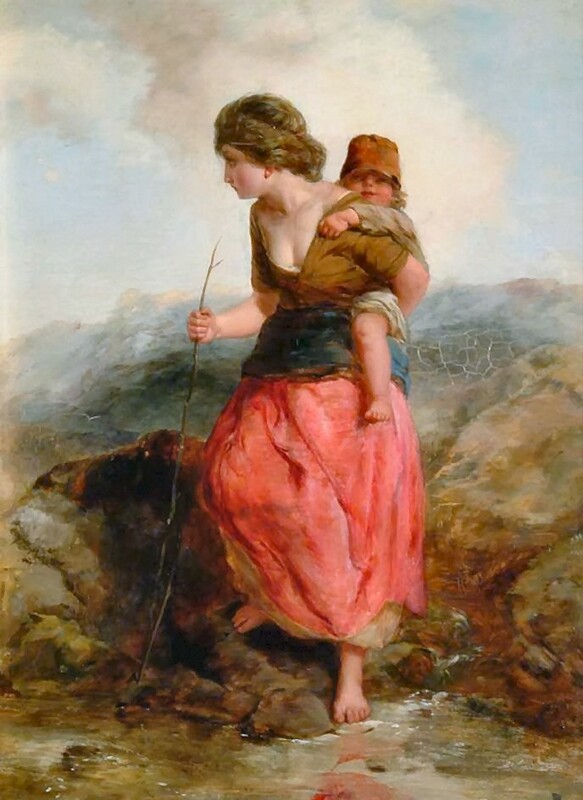 He exhibited his first work in the Royal Academy at the age of twenty-five, the subject being The Well, a scene in Naples. 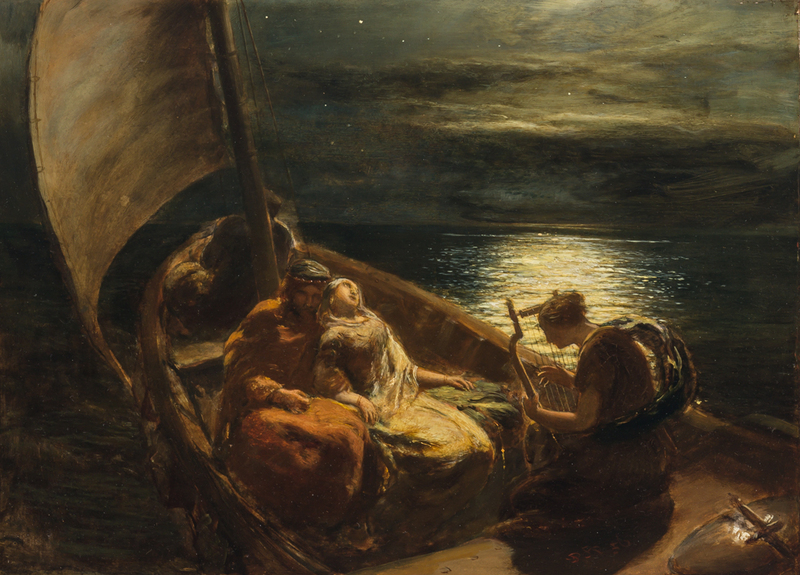 There was an interval of seven years before he next exhibited his Farewell, Farewell in 1837, which was followed by the Emigrant's Departure, Hermann and Dorothea and By the Waters of Babylon. 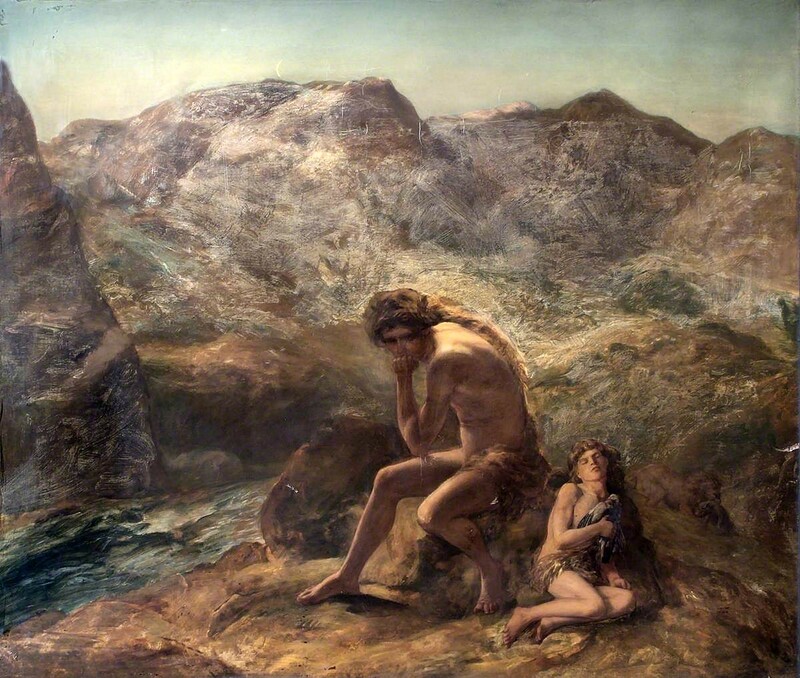 In 1843 his position was made secure by his Solomon Eagle, and by his success in the Cartoon Exhibition, in which he received from the Fine Art Commissioners a prize of £300 sterling. 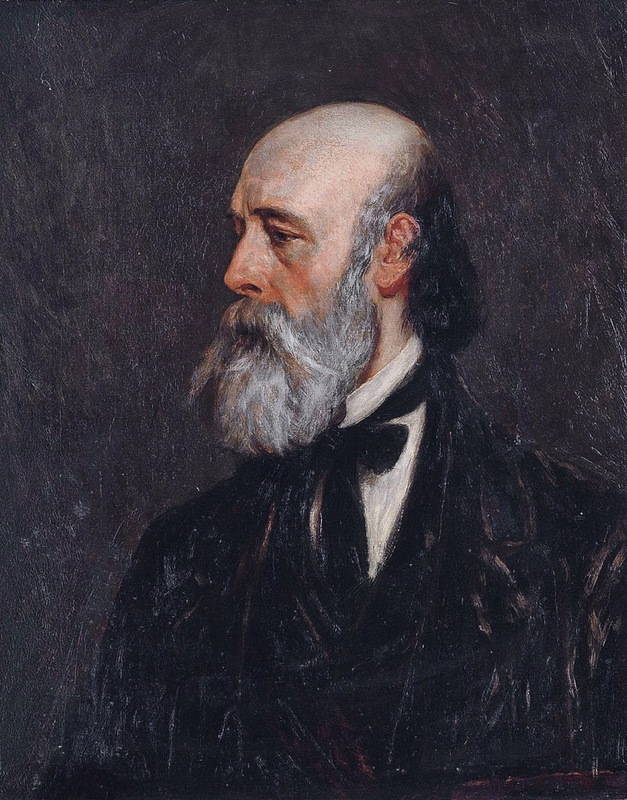 After his exhibition of the Surrender of Syon House he was elected an associate of the Royal Academy in 1846, and was made an academician in 1861. 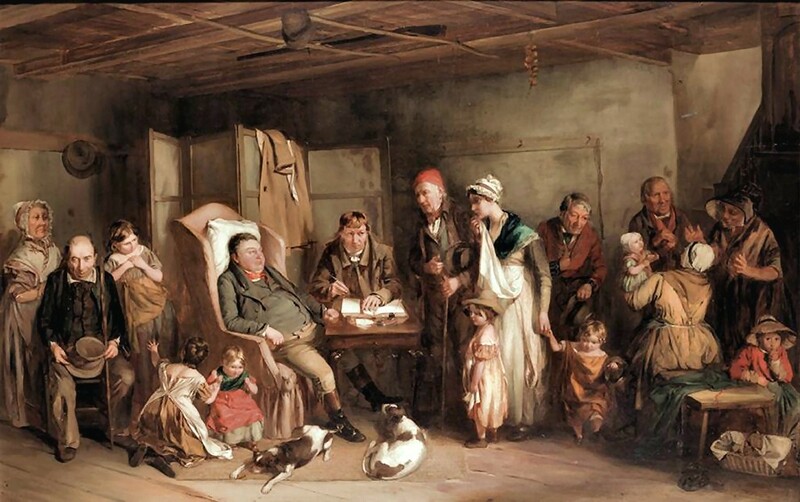 In the 1850s he lived at 43 Camden Road Villas (now 203 Camden Rd) near Camden Town. 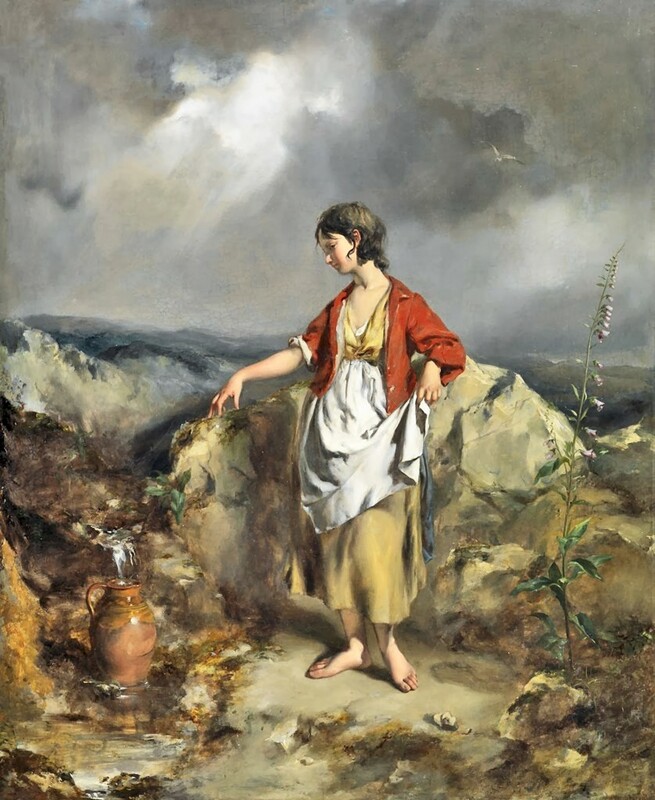 Poole's subjects divide themselves into two orders, one idyllic, the other dramatic. 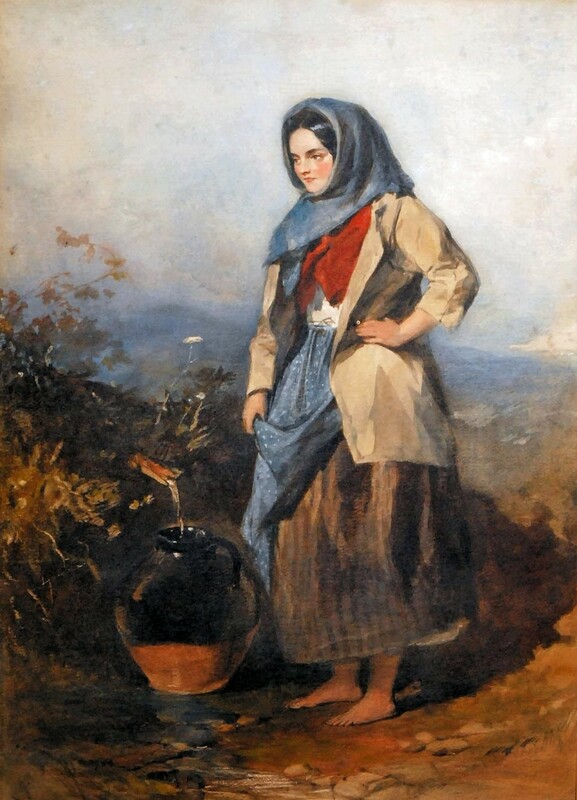 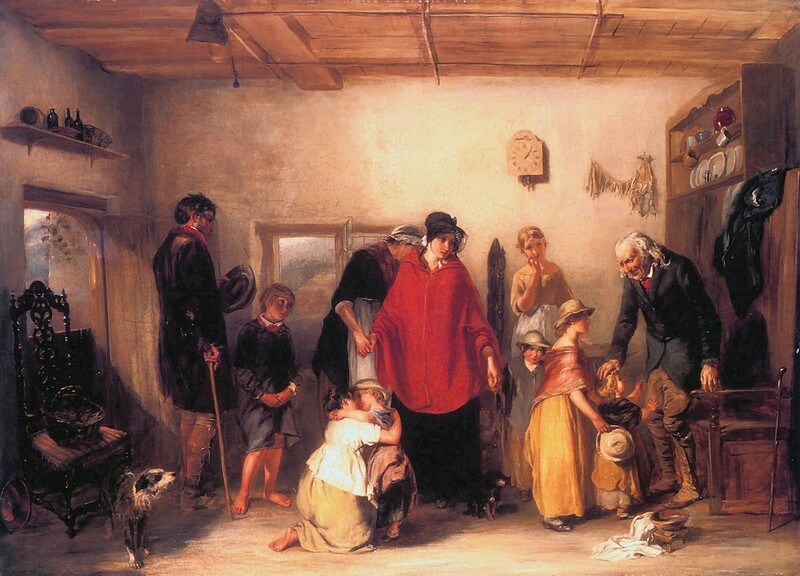 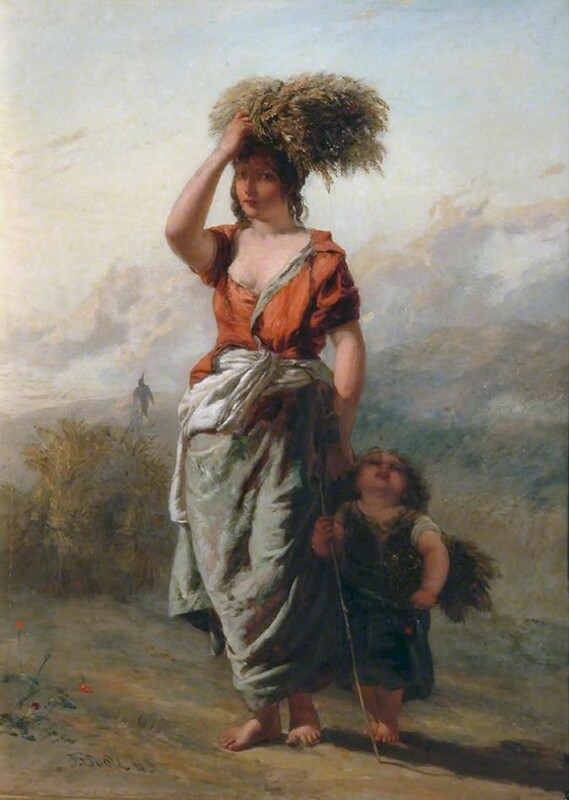 Of the former his May Day (1852) is a typical example. 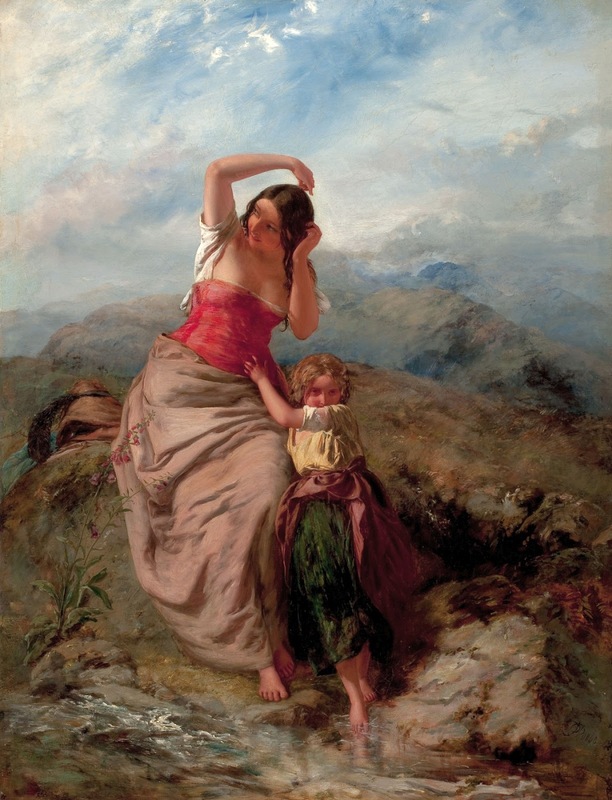 Of both styles there were excellent examples to be seen in the small collection of his works shown at Burlington House in the Winter Exhibition of 1883-1884. 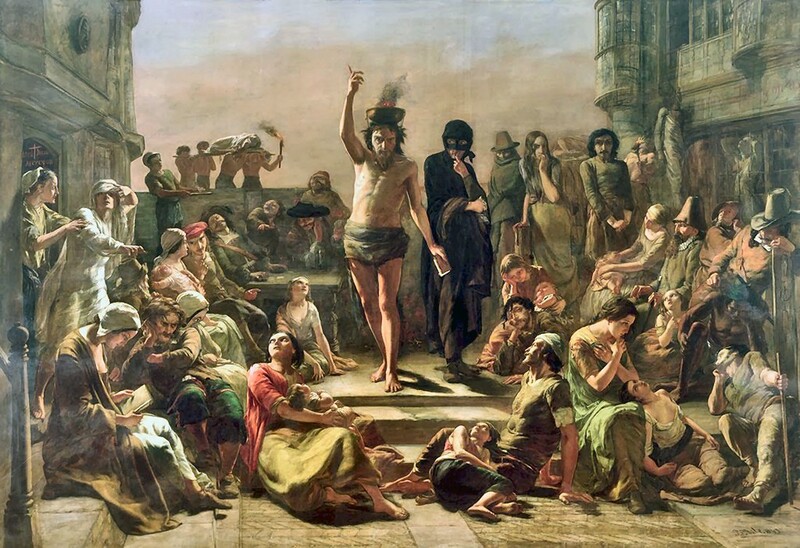 Among his early dramatic pictures was Solomon Eagle exhorting the People to Repentance during the Plague of 1665, painted in 1843. 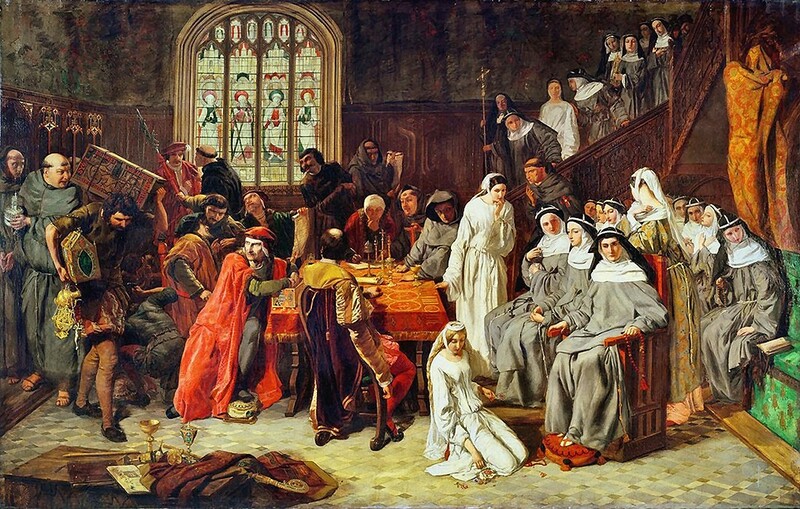 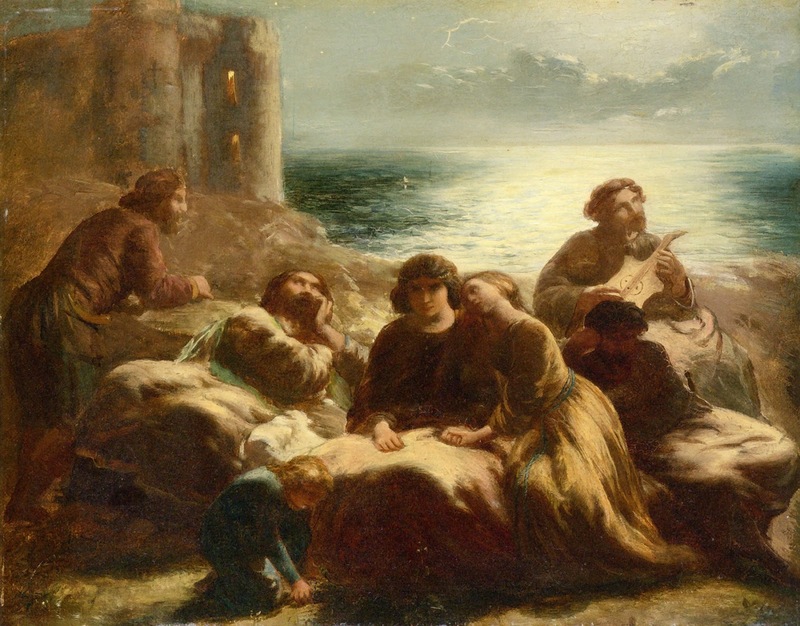 To this class belongs also the Messenger announcing to Job the Irruption of the Sabeans and the Slaughter of the Servants (exhibited in 1850), and Robert, Duke of Normandy and Arlette (1848). 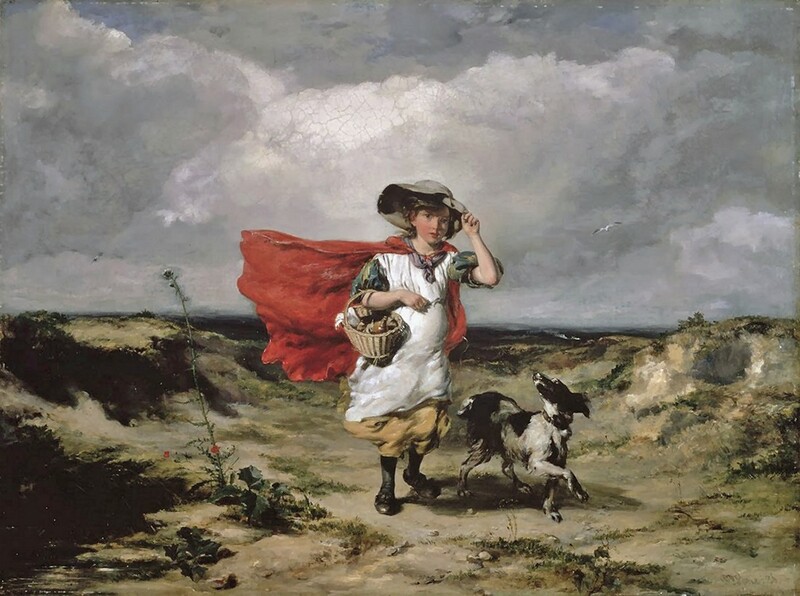 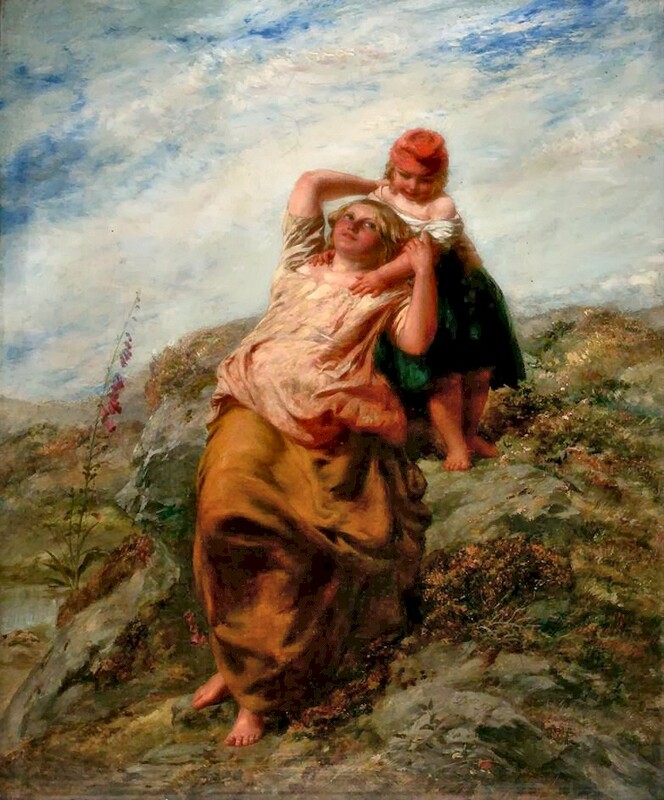 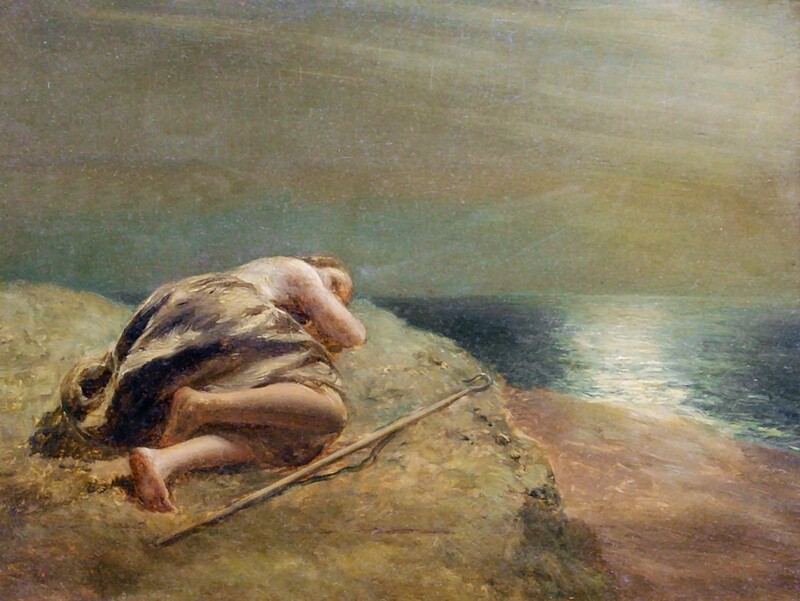 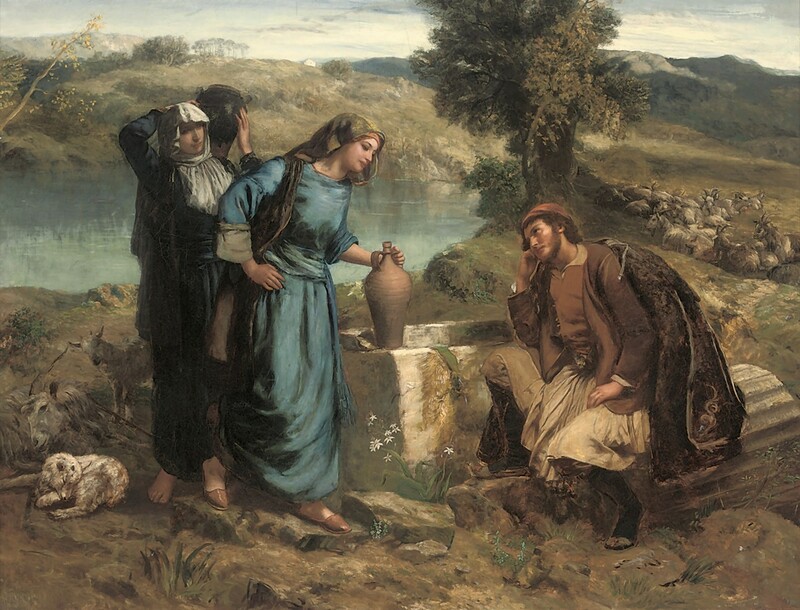 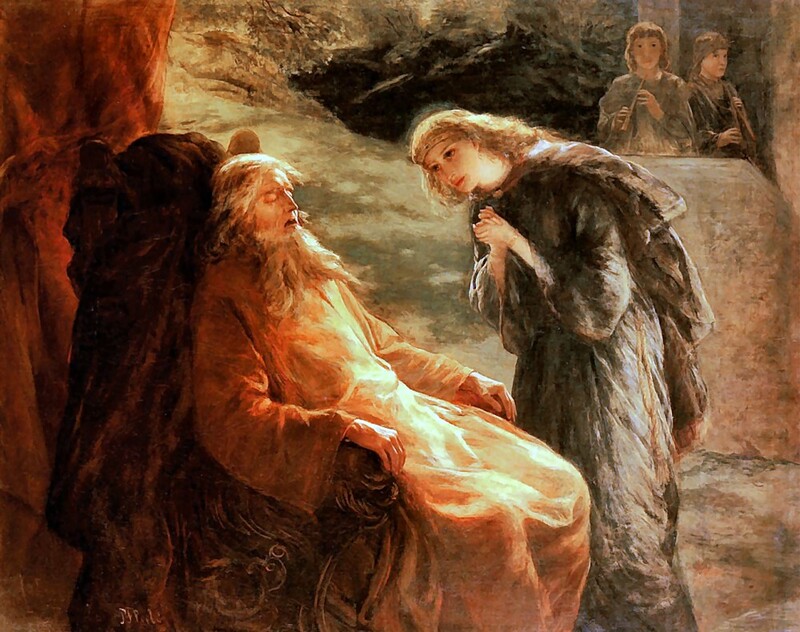 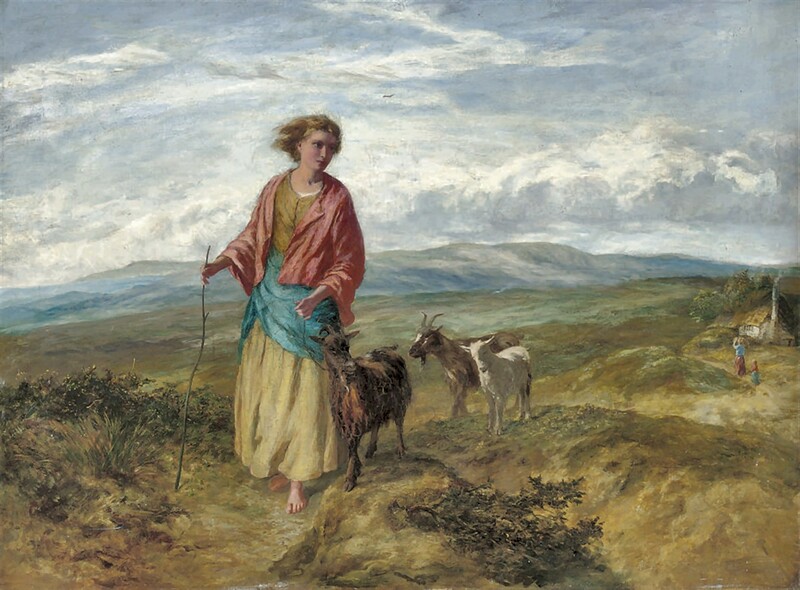 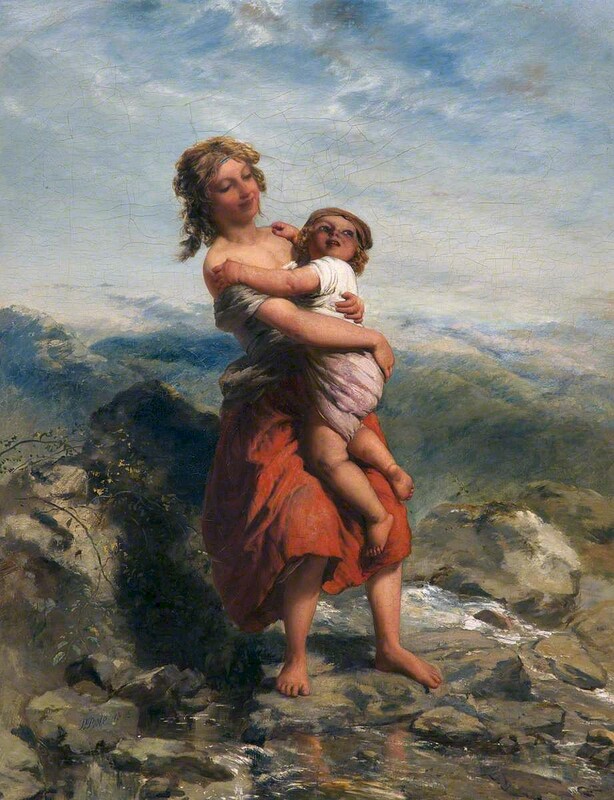 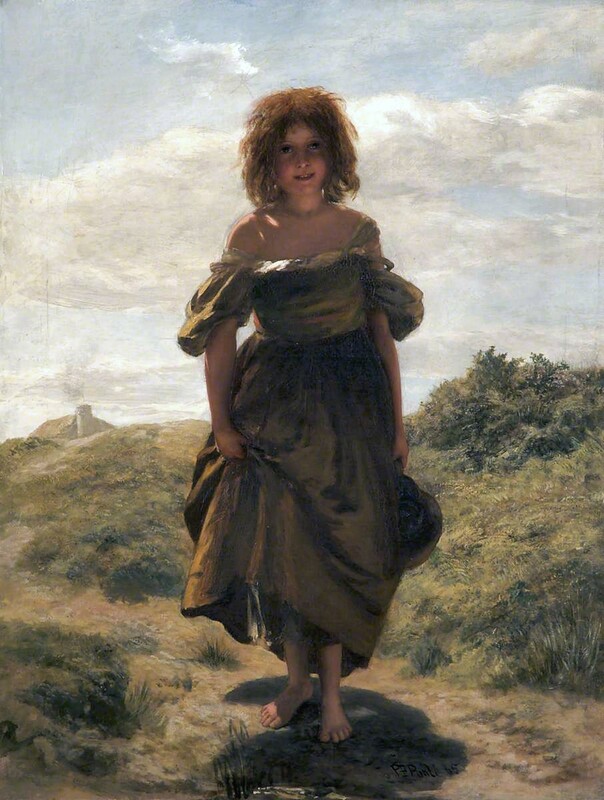 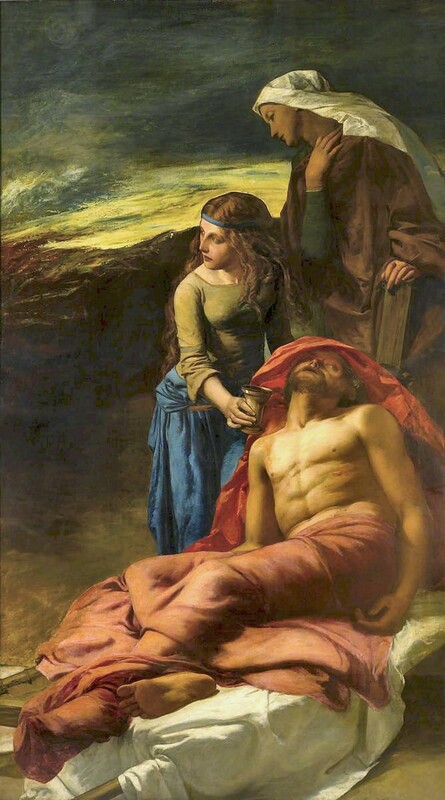 Finer examples of his more mature power in this direction are to be found in his Prodigal Son, painted in 1869; the Escape of Glaucus and lone with the blind girl Nydia from Pompeii (1860); and Constance sent adrift by the Constable of Alla, King of Northumberland, painted in 1868. 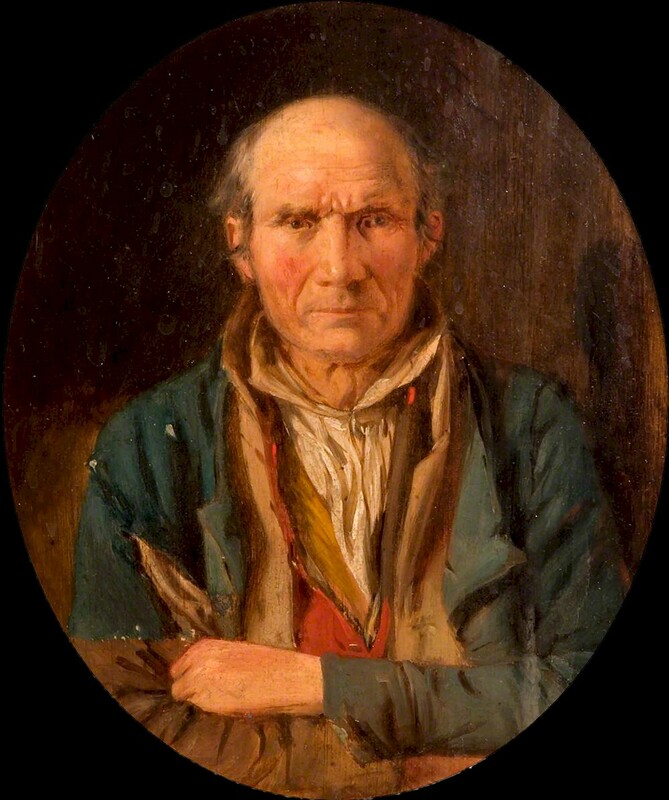 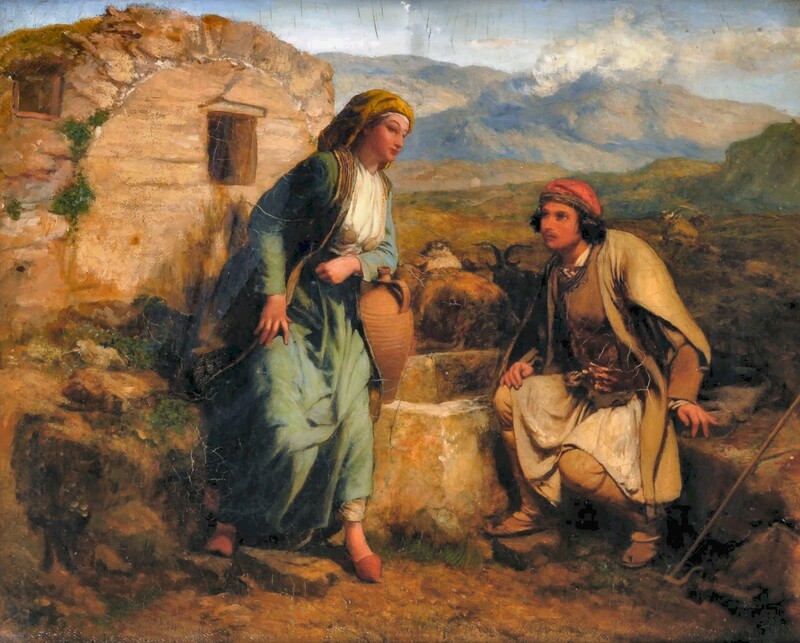 More peaceful than these are the Song of Troubadours (painted in 1854) and the Goths in Italy (1851), the latter an important historical work of great power and beauty. 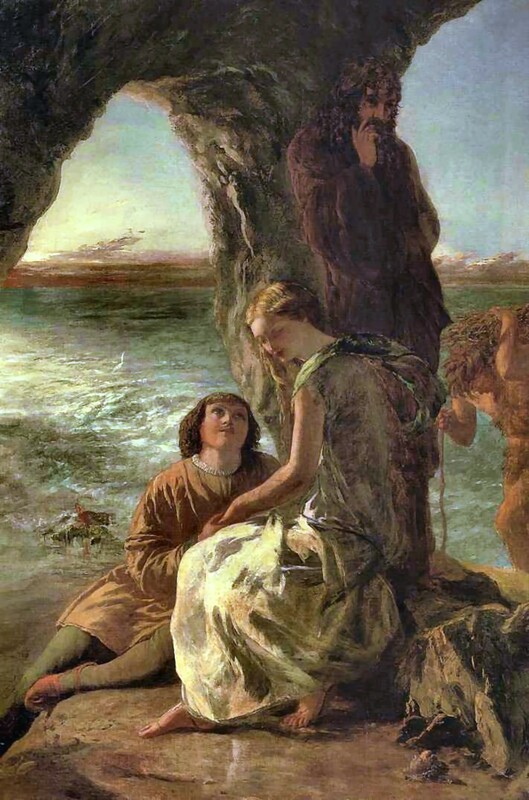 Of a less lofty strain, but still more beautiful in its workmanship, is the Seventh Day of the Decameron, painted in 1857. 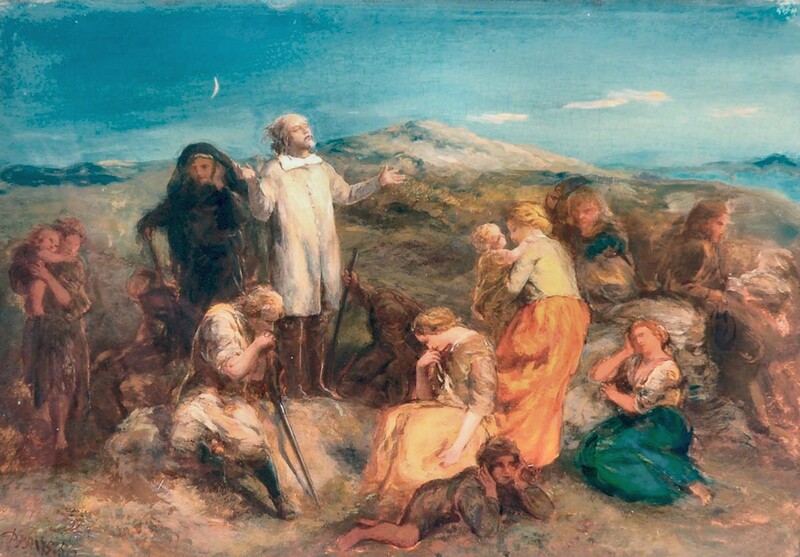 In this picture Poole rises to his full height as a colourist. 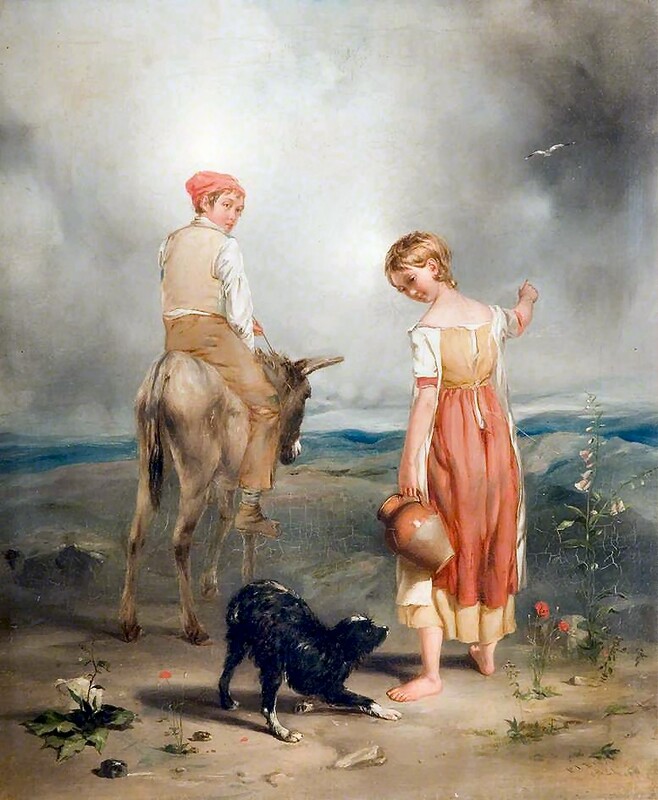 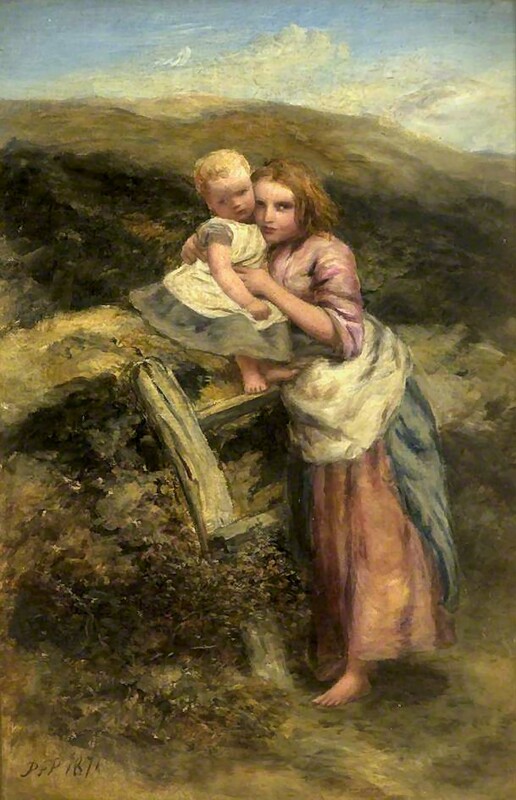 In his pastorals he is soft and tender, as in the Mountain Path (1853), the Water-cress Gatherers (1870), the Shepston Maiden (1872). 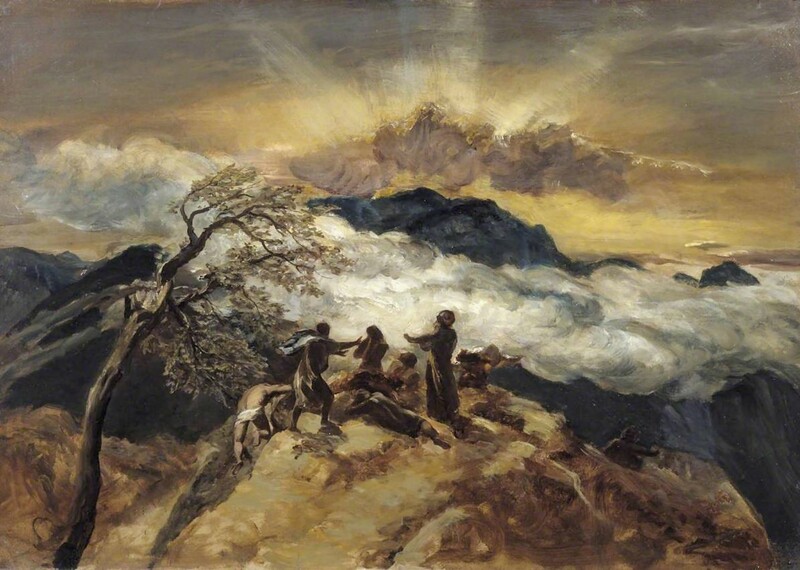 But when he turns to the grander and more sublime views of nature his work is bold and vigorous. 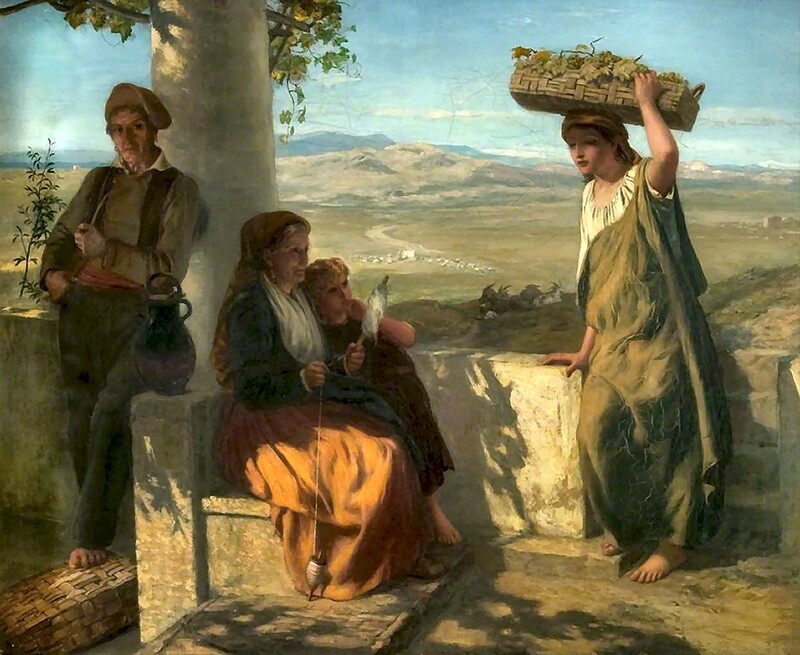 Poole, Paul Falconer - Pittore (Bristol 1807 - Londra 1879); dipinse quadri storici, drammatici e vivaci di colore, e sentimentali scene di genere**.